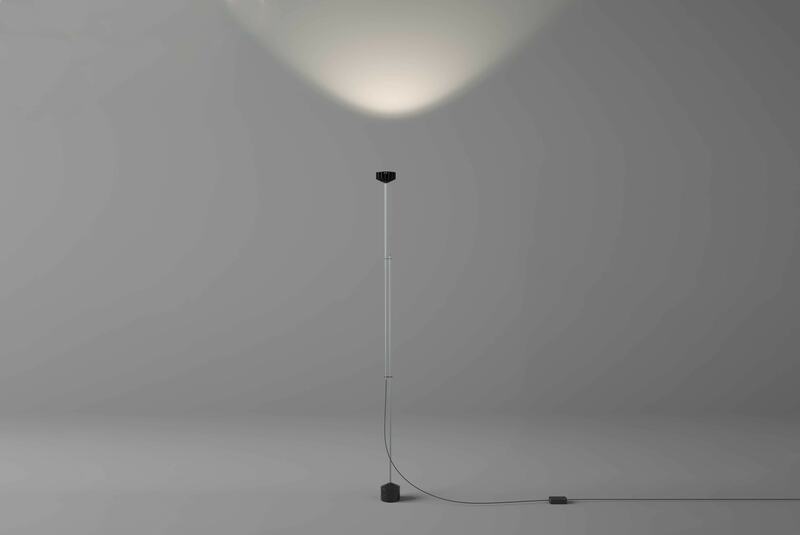 Naked is a floor lamp with upward beam with a minimal and functional design. 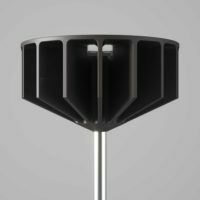 The axial symmetry between the LED luminaire with its heat sink and black marble base, both with the same 25° inclined shape and the same diameter, draws a linear and elegant geometry that can be perfectly integrated into any furnishing context. 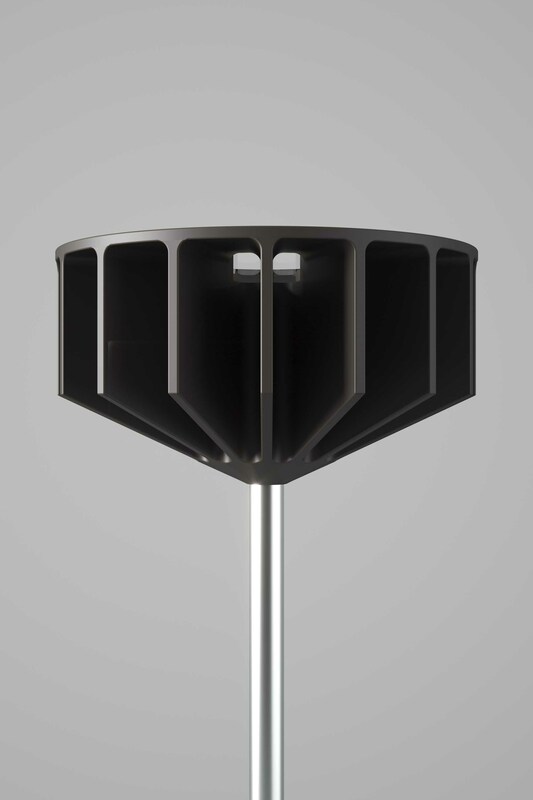 The support stem allows the luminaire to be adjusted in height, from a minimum of one metre sixty up to two metres. 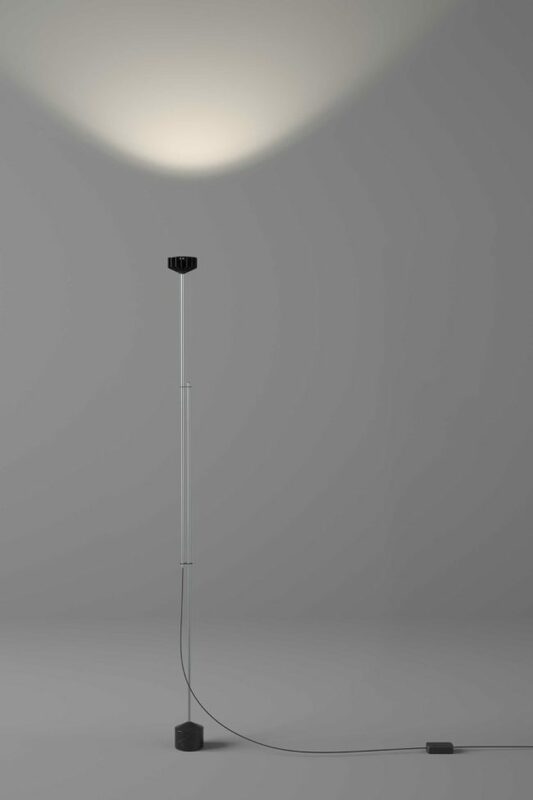 The light beam directed upwards reaches an extent of 130°.